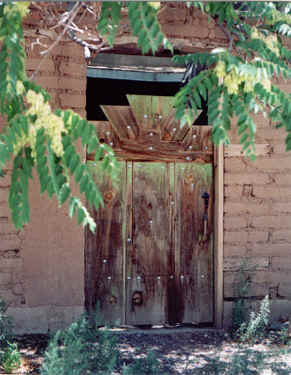 Santa Fe...the land of a thousand doorways. All kinds...all shapes...all beautiful. Fair Park is the site of the 1936 Texas Centennial Exhibitioin. 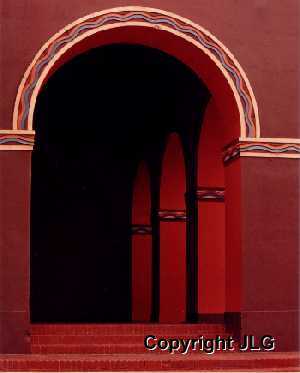 Many Art Deco buildings house museums and exhibition space. The Park is the home of the Texas State Fair. 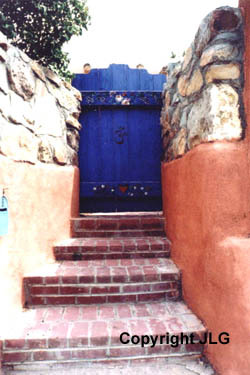 Canyon Road, in Santa Fe, is a seemingly endless drive past galleries, shops, and quaint adobe homes. When I passed this one, I could not let the color of this door pass me by. 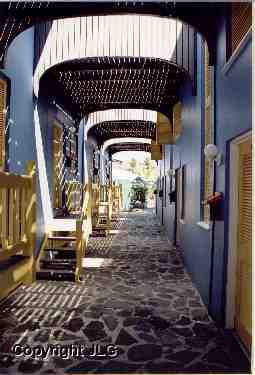 Road Town is the Capitol of the British Virgin Islands and is located on the island of Tortola. The relatively small downtown area exemplifies the easy going island lifestyle. 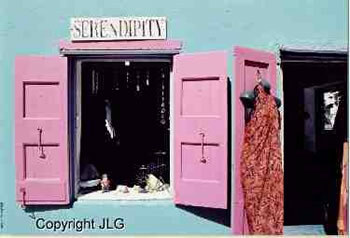 It has many colorful shops and buildings to satisfy tourists, but also maintains many historic buildings conveying the rich and long history of the island. 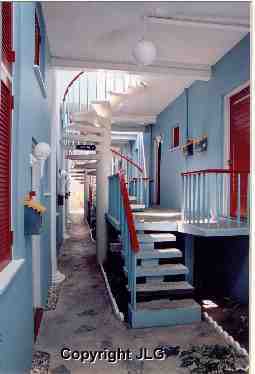 This colorful atrium is located at the Prospect Reef Resort. It exemplifies the easy going island lifestyle. A short drive away is Road Town, the Capitol of the B.V.I., with its many colorful shops and buildings to satisfy tourists. But, the islanders also maintain many historic buildings conveying the rich and long history of the island.